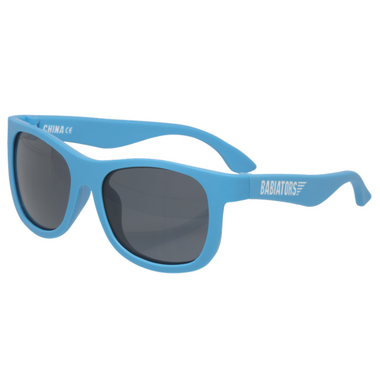 Durable: these sunglasses feature flexible rubber frames and impact- and shatter-resistant lenses that won’t break when you bend, twist, or step on them. Fit will vary by child depending on head size. If you’re between sizes, it's recommended ordering a size up. They stay on his face without him having to adjust and they look super cute! I bought these for my grandson because he hides his face in the sun. He loves these and they fit his face perfectly. My granddaughter had a wrap around pair but she liked these so much I got her a purple pair. They are really cute. 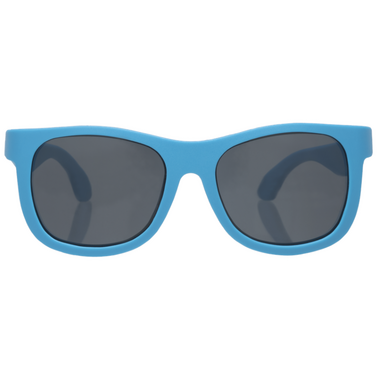 These sunglasses are great. I tried the wrap around ones on my 6 mo and he hated them, but he doesn't even seem to notice he's wearing these ones! Plus they look super cute, everyone asks me about them. So cute on, very flexible, seems these would be hard to break!! We love these! They look absolutely adorable on my 5 month old. They are durable and bendy! No more crying about sun in the eyes!